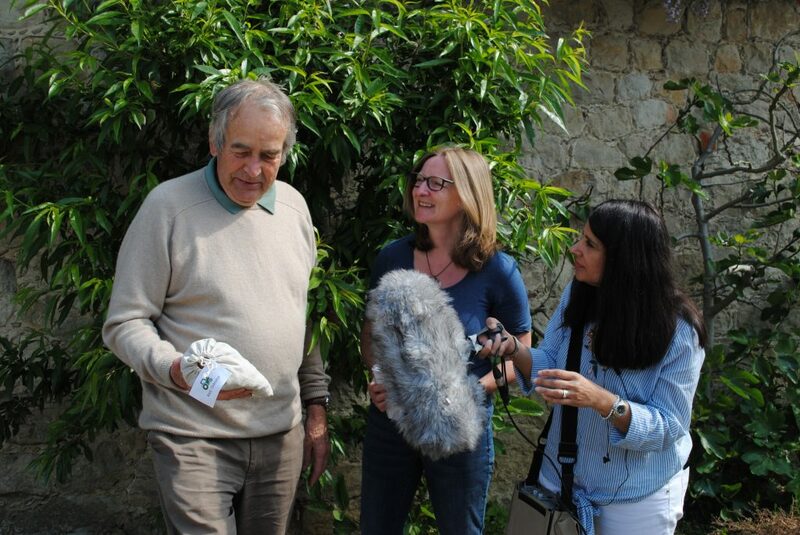 This summer Roughway Farm was delighted to welcome the team from BBC Radio 4’s On your farm. 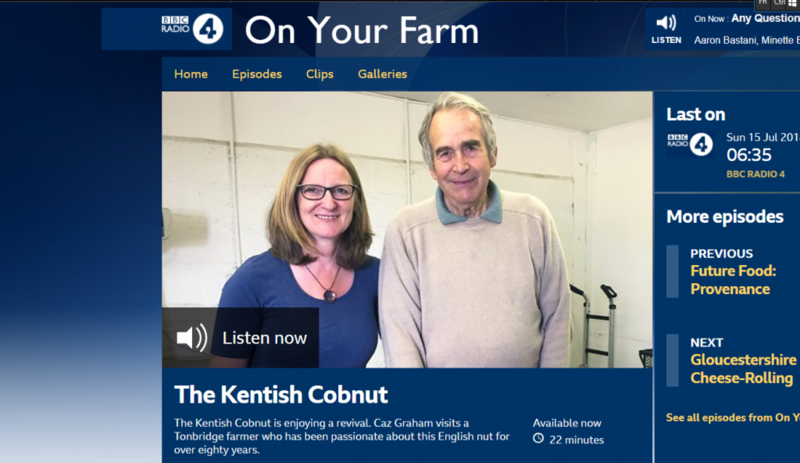 The show was presented by Caz Graham who was thrilled to explore the farm, learn about cobnuts and talk to three generations of the Cannon family. Caz sampled our Kent Cobnuts and also was able to sample some of our ‘value added’ products that we have been developing including our exciting Kent Cobnut Dukkah which we hope to launch later this year. Most of us are probably unfamiliar with the Kentish Cobnut but over the last few years this English nut- a cultivated variety of hazelnut- has enjoyed a revival. Caz Graham visits Roughway Farm near Plaxtol in Kent, home to John Cannon who has been passionate about this English nut for over eighty years. She also meets his son, Giles Cannon who now runs the fruit and nut farm and the third generation of Cannons on the farm, Tom who appears to have inherited his grandfather’s passion for the Kent cobnut.